They journeyed in the fabled dhows; white crescent sails blown by ocean winds, three hundred years ago, as soldiers of fortune, to the east coast of Africa; to build an empire for the Sultan Of Oman who had conquered their homeland on south coastal fringes of the Persian empire, and to whom they now owed allegiance. It was a long fateful voyage undertaken by most for monetary gain, and thought to be a temporary mission, without quite realizing the impact that undertaking down the Indian Ocean would have on their future. And how lasting it would turn out to be. The first Baluch to have set foot in eastern Africa were certainly those mercenaries deployed in the Sultan’s army, initially to fight and evict the Portuguese from their strongholds in East Africa, and later to consolidate the Sultan’s control of the region. At a time when there was much anarchy amongst the tribes of Oman for control of the throne, the loyal Baluch soldiers, posing no threat to the rule of the Busaidis earned them lasting trust with the Sultan who then deployed them to guard his palaces and interests in the region. Interests, that included massive land grab and an inhuman slave trade. There is no existing documentary record of the exact numbers of these early soldiers. 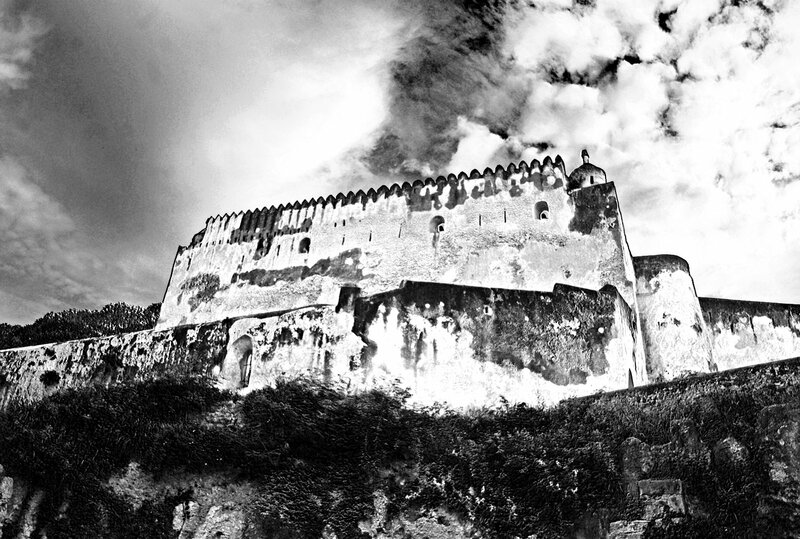 As goes with the traditions of eastern nations, there are always remarkable oral legends of how the brave men from the Makran coast laid siege on Fort Jesus in Mombasa, and wrested the Fort from the Portuguese, driving them out of ‘Zenjbar’ for good. That is the legend. The truth of course is that the Portuguese sources of food and water continued to get depleted by the long siege, and they died slowly, from hunger and disease. The first Baluch settlers were the soldiers, who until the formal establishment of the Sultanate in the 1840s, maintained army posts in the major centers of Mombasa, Dar-es-Salaam, Zanzibar and Pemba. These men inter-married with the local Arabs and Waswahili and were quickly assimilated into their society. They were soon followed by whole families who left Baluchistan in the hope of finding a better life in fertile East Africa, which was at the time the hub of international maritime trade with India and south Asia. Most of the emigrants came from Nikshahr (then known as Geh) and Kaserkand in southern Iran, though they were soon followed by others Sarbaz, Lur and Muscat. Little is known of the exact lifestyle of these Baluch circa the 1800s, as there is little documentation of it. (Some colonial records and the odd family picture from the late 19th century can provide some hint). 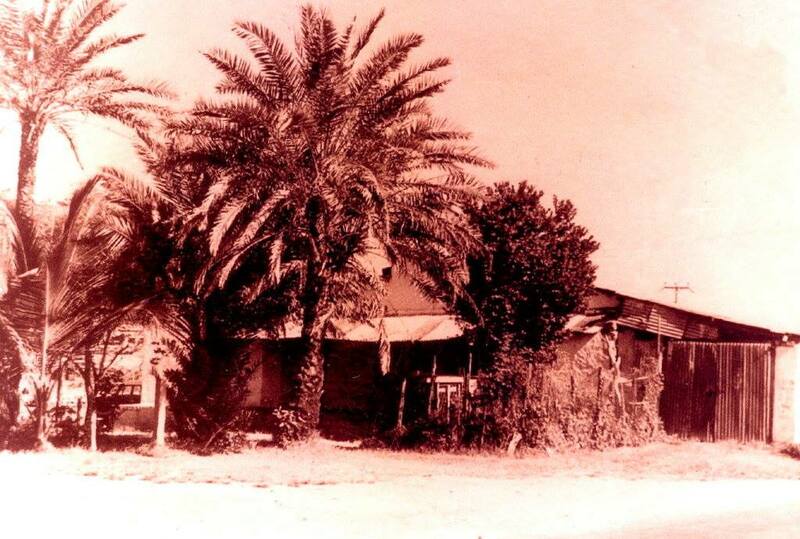 It seems however that at all times, Mombasa was the major Baluchi settlement of the time. As the population grew, the younger Baluchis ventured into the African hinterland to satisfy the famous Baluchi wanderlust. The stories of these men and their adventures differ from family to family, and they are as varied as they are interesting, passed down from father to son, most unverifiable but rich in folklore and legend. It is believed that the first non-African to go into Maasailand was a Baluch, so too was the first non-African to be welcomed into the royal court of the Kabaka of Buganda. As they moved inland, the Baluch founded cluster communities in Djugu and Bunia in the Congo; Soroti, Arua and Kampala in Uganda; and Iringa, Tabora, Bagamoyo, Mbeya and Rujewa in Tanzania, where today thriving communities exist. In time there was probably a Baluch family in almost every major East African town. The Mombasa Baluchis developed a more cosmopolitan lifestyle, preferring to engage in small real estate ventures, professions, and trade, or keeping employment with the Omanis and later in the 1900s, the British. Those who settled in the fertile hills of Uganda and Tanzania flourished in the farming and trading industries. Their mercantile skills, business acumen and investments earned them high regard amongst the various communities they settled in. The Baluch in Dar-es-Salaam, very much like their counterparts in Mombasa adopted an urban lifestyle. This can also be said of the small but vibrant Nairobi families. The culture of East African Baluchis has undergone quite a metamorphosis from the 1700s to the present day. With time the traditional Baluchi way of life gradually gave way to a more Swahili one. Our ancestors interacted with the local people and assimilated to become part and parcel of the social life of the region. As the Baluchi language started getting replaced with Kiswahili, the lingua franca of East Africa, so too did a lot of our traditional cultural norms. It must be noted however, that at no time did we ever lose our identity. Language apart, the Baluchis here have always maintained a separate identity from the rest of the people. The use of Baluchi names and the continuous narration of our culture and history as a south Iranian people has kept the awareness of our roots still fresh in our minds, and our yearning for self- preservation very much alive. Some families still proudly speak good Baluchi, albeit diluted in grammar and vocabulary, but fluent. We have also managed to maintain strong social cohesion amongst ourselves. For a very long time, families strictly married only from each other, perhaps in an effort to preserve the tribe. Although this provision is no longer strictly followed, it is still highly preferred. Today the Baluch of East Africa can be said to have inter-married with almost every other local community. Despite the observable diversity, we have remained essentially close knit. Perhaps what has remained more or less unchanged culturally is the way we celebrate our weddings. The ceremonies have remained the same, made even more pronounced by the bride who can still be seen on her wedding day in full Baluchi regalia. Most of East African Baluchis are literate. Education in schools is secular with English as the medium of instruction. All Mombasa Baluch youth have attained High School education and almost all of the younger generation are advancing towards universities and colleges. One of Kenya’s top surgeons is Baluchi. The Mombasa and Nairobi communities have produced several doctors, architects, aviation engineers, bankers, pilots, accountants and lawyers. Baluchis can also be found in respectable positions within Kenya’s tourism industry, Kenya and Tanzania’s politics, the banking sector, and of course the various businesses Baluchis have excelled in. 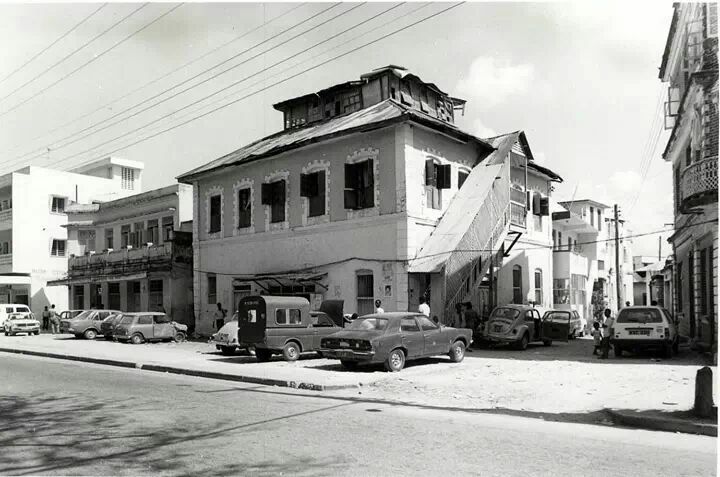 There is a Baluchi Mosque that stands at the junction of Baluchi Street and Makadara Road in Mombasa, that was first built in 1865, and has since undergone two renovations, one in 1964 and another one recently in 2005. It is a standing and living monument of our place in this land. In Mombasa, Baluchis have successfully launched a community committee whose main aim is to promote social welfare, self-awareness and the propagation of culture. 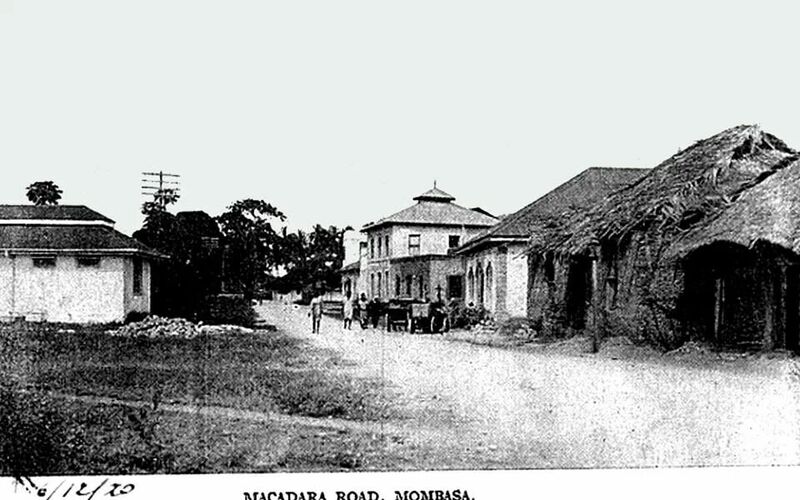 Mombasa has a Baluchi Community Hall on Makadara Road. The Community Hall and it’s committee’s most prominent function is the getting together of the Baluchis on various occasions and the running of the Baluchi mosque and the Mbaruk mosque, a local sunni mosque whose maintenance and welfare has been adopted by the Baluchi Community. Presently, Mombasa Baluchis portray more as part of the modern Kenyan social life with hints of western urbanism. However the families in Mbeya and Rujewa are still admirably traditional. For a long time, Kenyan history had ignored the role the Baluch played in Omani-Portuguese wars. One still reads of the “Omani Arabs” who laid siege on Fort Jesus with no mention of the Baluch soldiers, or even that that Fort remained in Baluch hands until it was formerly handed over to the British in the 1890s. However, recent efforts by the National Museums of Kenya aims to correct historical inaccuracies and plans to allocate the Baluch space to document this history at the Fort Jesus museum. The Baluch have always been wanderers. Naseer Dashti’s new research traces our ancestral origins to the historical Balashagan, in the north western Caspian Sea, where we lived close to the Kurdish people, the ethnic group closest in relation to us. Through thousands of years, the Baluch migrated to settle in the present homeland of Baluchistan, in the south western Iranian peninsula, and from there, communities have moved on to found new homes all around the world. It’s been now three centuries since the mercenaries from Baluchistan sailed on those dhows to Mvita, the island of war, to help the Omanis build their empire. In these three hundred years, we have absorbed the East African coast into ourselves, and given a part of ourselves to this land. Even as we remain proud of our long history and rich heritage, we remain children of a different present, here where the ocean brought those soldiers of old, as the Baluch of East Africa. I have come across your blog, very interesting about East Africa Baluchis, as I am doing research of my family tree. Have you written a book on Baluchis in East Africa? If so can you please tell me the isbn number and the name of the book? Hello Shad. No I haven’t written a book. Do you have family in East Africa?